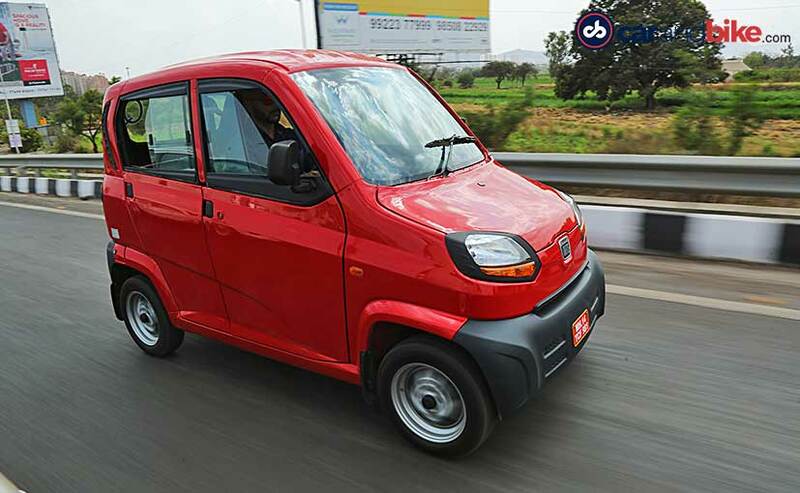 Bajaj Auto will be launching the Qute in India on April 18, 2019. The company will launch the Qute in Maharashtra along with Gujarat, Rajasthan and Odisha. Other states will get it in a phased manner. The Bajaj Qute is India's first ever quadricycle. The overall design and utility lies somewhere between that of a three-wheeler rickshaw and a proper four-wheeler. Bajaj Auto has been manufacturing the Qute in India for a while now for export markets but now, the company will finally and officially launch it in Maharashtra on April 18, 2019. The Bajaj Qute first debuted at the 2012 Auto Expo, with the production version showcased in 2016 at a special event. It was only in 2018 that the Ministry of Road Transport and Highways approved the creation of a new class of vehicles called the quadricycles which now means that the Qute is finally road legal in the country and can be used for both commercial and personal use. The Bajaj Qute is powered by a 216 cc, single-cylinder, twin-spark engine which is available as a mono-fuel version. That means, you can either get it in petrol form, or CNG, not both. The petrol version puts out around 13 bhp at 5500 rpm and 18.9 Nm at 4,000 rpm. Bajaj reckons the CNG variant will be the bigger seller. The CNG variant puts out just over 10 bhp of power and around 16 Nm of peak torque, and the engine is paired to a five-speed gearbox. The Bajaj Qute offers better weather protection, it's frugal to run, and most importantly, convenient to drive and use in crowded areas. 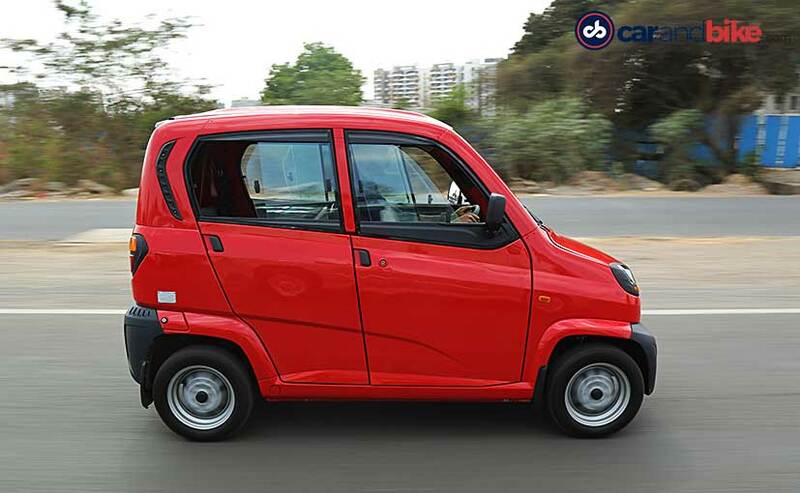 But at Rs 2.64 lakh for the petrol version, and ₹ 2.84 lakh (all prices ex-showroom, Maharashtra) for the CNG variant, it still may be considered expensive, considering it costs around a lakh more than the humble three-wheeled auto-rickshaw. The company has launched the Qute in Odisha, Gujarat and Rajasthan and now Maharashtra will be the fourth state in India which will get the Qute. Bajaj will launch the Qute in other states of India in a phased manner.